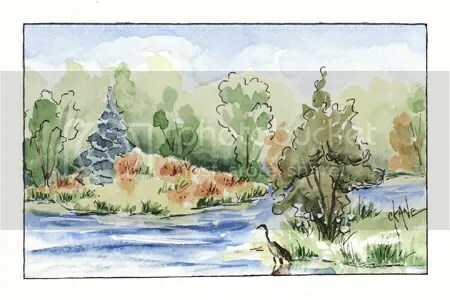 Lake Katherine and Heron Sketch – Let's Paint Nature! I try to take my sketching supplies where ever I go. I have a canvas bag that I keep in the car. I don’t always have time, nor do I feel like painting everyday, but it’s there just in case. I sketched this scene before the heron, as if on queue, landed right in the most perfect spot. How delighted I was to include him. Sometimes all that “green” can be overwhelming. Just pick out a few points of interest that you just can’t exclude. Just enough to tell a story, but not too much to confuse or look like a mess. Mr. Heron was important. He needed to be the main attraction, the single pine tree was next, then the hill, finally a few trees in the back. That’s all. and my blog looked like it was private for a while but it wasn’t – I just wasn’t blogging and took a break. 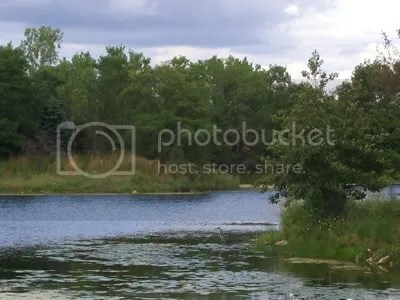 I am sometimes also overwhelmed with “all that green” during summer months and abandon landscape photography during this time of year. I shouldn’t- just like you’ve found a workaround, I need to be creative as well. Thanks! You make some great points in this post. I need to remember such things & not get bogged down so much in details, I think. Alan: I laughed out loud when I read your response 😀 So many times my paintings have ended in disaster…I just don’t talk about those 😉 Thanks so much for your support…it means a lot! Tom: Yes, summer is difficult! Very hard to separate what’s important and what is not. You do a great job with your photography!Thanks! Lana: Sometimes that can be hard! Your paintings are a great example of careful planning and artistic license.